New Delhi, August 2017: electronica India and productronica India, the leading trade fairs for electronic components and manufacturing technologies, will take place from September 14–16, 2017 at Pragati Maidan in New Delhi. This edition is set to be even bigger as it marks a presence of over 450 exhibitors representing more than 650 companies from about 18 countries. The electronics community meets at this global exhibition network that combines innovations and trends with country-specific themes. The event enables an impetus and an ideation platform for the electronics business. Supporting the ‘Make in India’ initiative of the government of India to encourage domestic manufacturing and invite investors, the biggest ever investor forum Advantage India summit is concurrently organized with the fairs for the benefit of the electronics industry. The summit will enable potential investors to gain insight into the market opportunities, explore investment options in different states and collaborate with the local technology companies in India. e-Automotive is another highlight of the trade fairs with a focus to promote the automotive electronics segment in India. The discussions at the e-Automotive conference will revolve around how to promote new alliances, roles and underlying principles among diversified competencies and how traditional suppliers can revamp their capabilities to accommodate modern demand. The conference will assist top thinkers and game changers of the automotive electronics industry in discussing and strategizing the best way forward to place India at the global hub of electronic innovation in the automotive segment. In partnership with the Electronic Industries Association of India (ELCINA), Messe Muenchen India is also organizing the second edition of the ‘CEO Forum’ and ‘India PCB Tech’ to bring the entire ESDM eco-system together into one platform. Policy makers, global and domestic manufacturers and stakeholders servicing this value chain will exchange valuable market information, analyze technology trends, technical skilling, investor friendly policies, best practices and business opportunities. 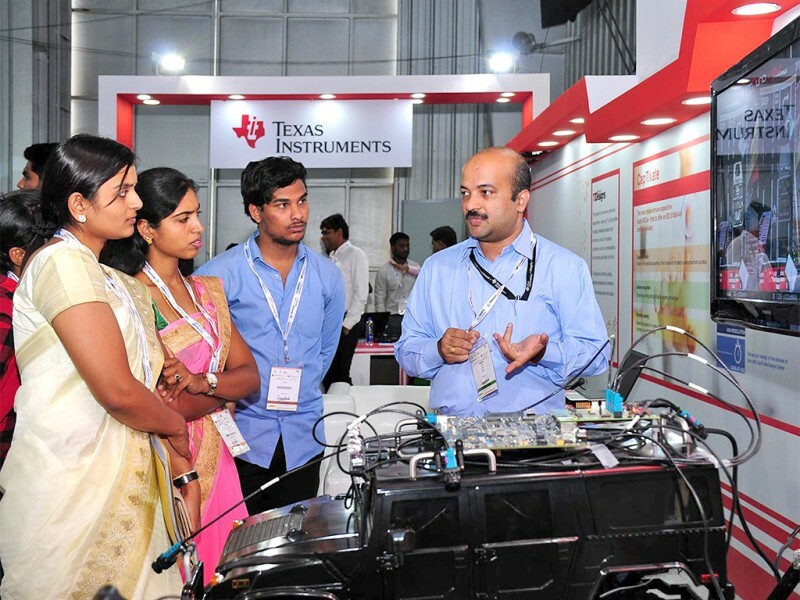 The top-most electronics manufacturing companies from various segments will engage in face-to-face meetings with the exhibiting companies at the networking program ‘Buyer-Seller forum’ wherein more than 1,500 meetings are planned at this edition. At the previous edition, business worth INR 450 Crore was negotiated at the Buyer-Seller forum, which generated huge interest and reported strong participation from companies like MINDA Corporation, AmaraRaja Electronics, Bosch, LAVA International and L&T Heavy Engineering and many more. The B2G forum will allow professionals to interact face-to-face with officials from the ministry, state governments and trade association representatives. Supported by the Ministry of Electronics and Information Technology (MEITY), leading national and international trade associations including the Electronic Industries Association of India (ELCINA), the India Electronics & Semiconductor Association (IESA), the German Electrical and Electronic Manufacturers Association (ZVEI) and many more, electronica India and productronica India is a must attend trade event for electronics industry professionals. To learn more about electronica India and productronica India and to register as a visitor, log on to electronica-india.com and productronica-india.com. For PR and media queries please contact: Siddharth Narain, +91-9971600355 or siddharth.narain@mm-india.in.